The past decade has seen a continued decline in the quality and capacity of service providers to provide healthcare in the Gaza Strip where 8,515 patients were diagnosed with cancer in 2018, including 608 children. 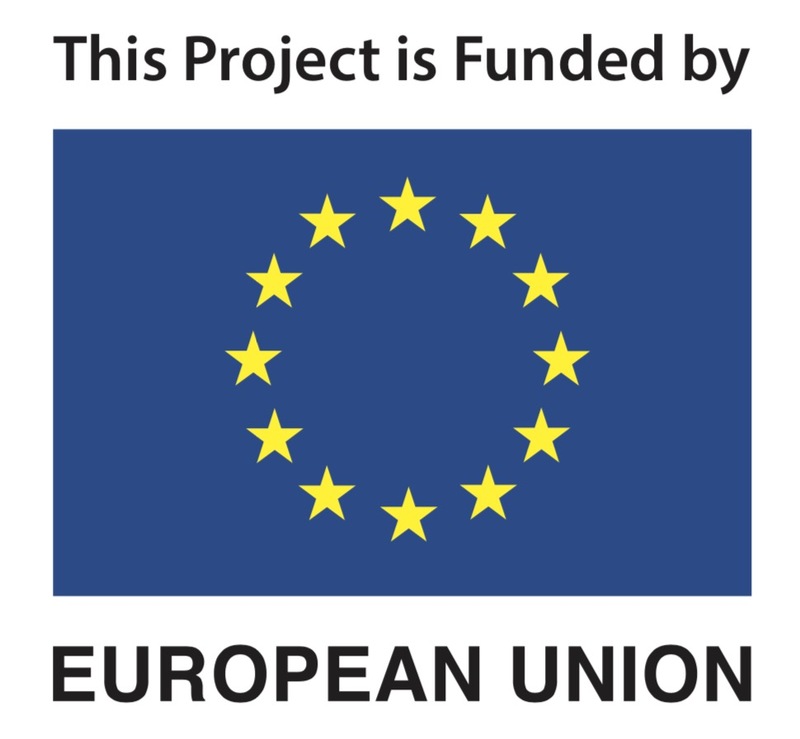 Al Mezan Center for Human Rights has been working to facilitate access to healthcare with project support from the European Union. Through this effort, legal advice and support is provided to patients whose exit permits are rejected and/or delayed by the Israeli authorities—a main barrier in access to health. Where necessary, psychosocial support is facilitated through the provision of specialized mental health counseling to patients who experience trauma from being unable to access the care they need. 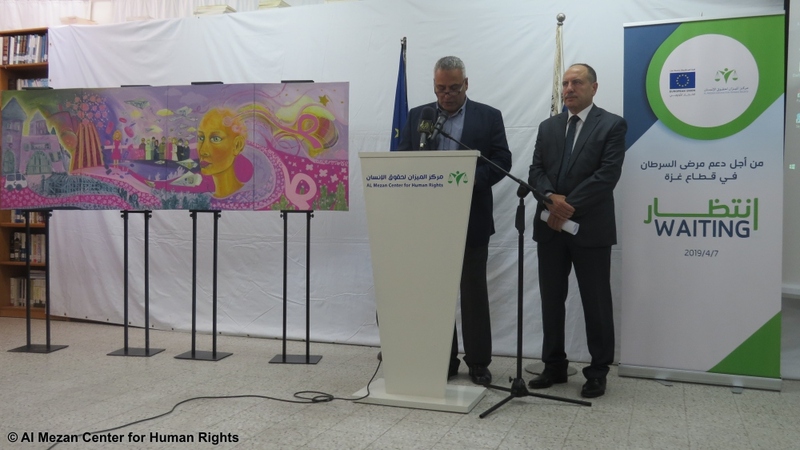 During the event to mark World Health Day, Issam Younis, the General Director of Al Mezan said, “the situation of patients in the Gaza Strip is tragic. The continued closure and blockade of Gaza, which affect all aspects of life for inhabitants, are embedded in severe movement restrictions for people and goods that effectively prevent patients—particularly cancer patients—from having adequate access to healthcare”. According to the World Health Organization (WHO), in 2018, the number of requests made to the Israeli authorities to allow patients to travel to hospitals in Israel and the West Bank was 25,897. Of those requests, 7,326 were submitted by cancer patients. The WHO reported that the rate of approval of permit requests by patients did not exceed 61%. The shortages of medicines, medical equipment, fuel and other supplies necessary for the operation of healthcare facilities continues to hinder patients’ access to healthcare and lead to anxiety and distress. 58% of medicines, of 65 different types, required for the treatment of cancer and blood disease were unavailable in 2018. Without essential drugs being available in full, treatment protocols can be ineffective and patients’ lives are at risk. 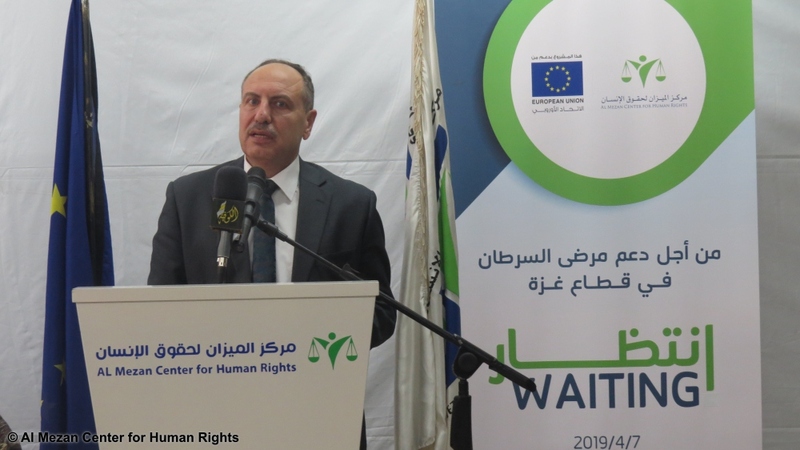 Ayman Fteiha, the representative of the EU at the event said, “the EU is calling for a radical political, economic and security change, which should include the end of the closure, the opening of all crossings and meeting all people’s needs in Gaza”. 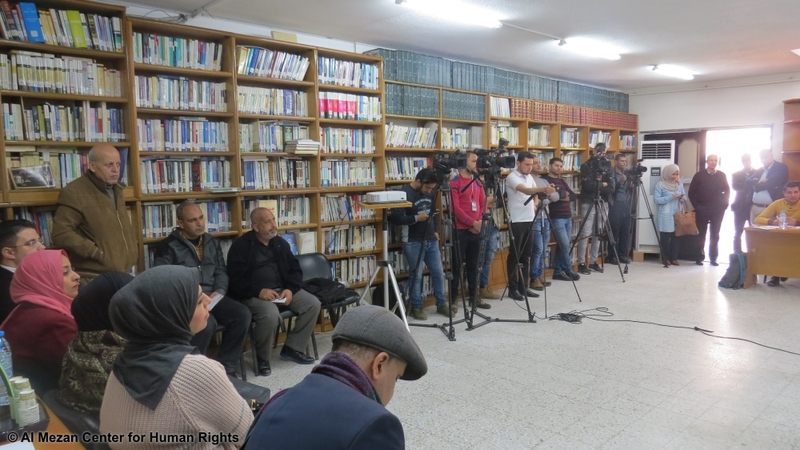 He added: “the denial of access to health services outside the Gaza Strip for cases who are in need of specialized medical care, has had sever repercussions on the right to health”. 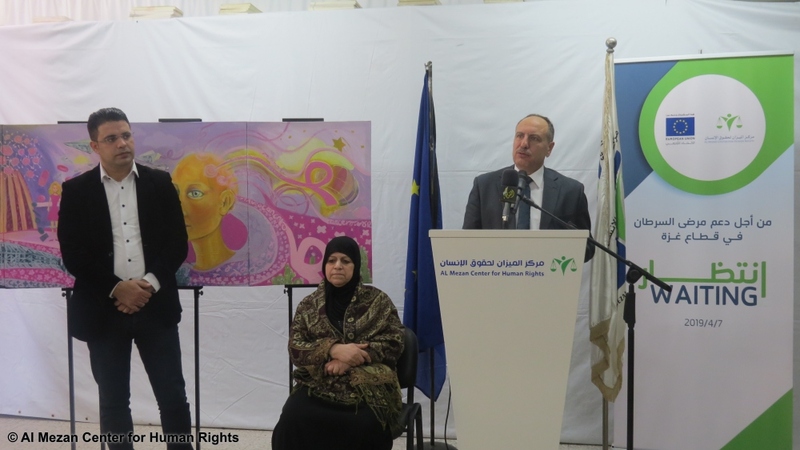 Part of the EU – Al Mezan project is aimed at raising public awareness about the struggle of cancer patients in order to create a supportive environment for patients’ rights. 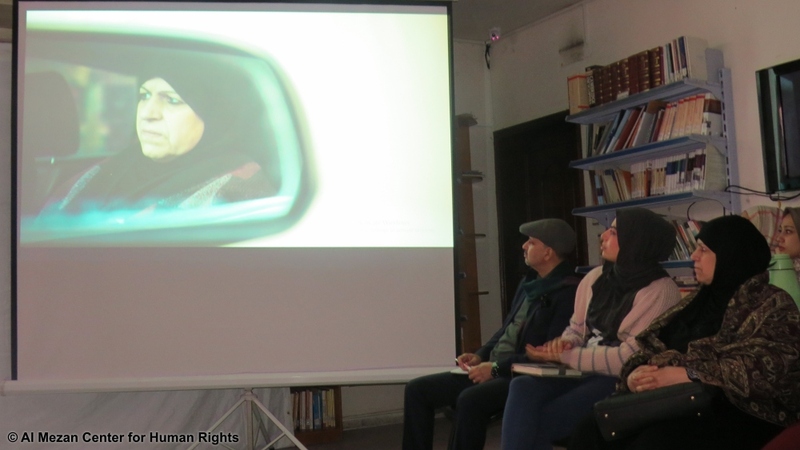 During the event, Al Mezan unveiled a billboard and launched a film, both produced by Al Mezan under the project. The billboard and the film support the objectives of awareness-raising, making visible the challenges faced by cancer patients, and encouraging collaboration in support of patient rights both locally and internationally. Al Mezan stresses that duty bearers must demonstrate their commitment to the progressive realization of the right to health by delivering adequate medical services, providing resources and capacities for the healthcare sector, and ensuring free, unimpeded movement for access to medical care. The delay by the Palestinian Authority in channeling medical aid, including medicines, to healthcare facilities in the Gaza Strip is a departure from the objectives adopted by the Authority and is not coherent with the Palestinian National Health Strategy for 2017-2022. The plan was formulated in line with the United Nations Sustainable Development Goals (SDGs), especially the third SDG on ensuring healthy lives and promoting well-being at all ages. The fundamental right to free movement is essential in order to progress toward the realization of the right to health. The Israeli authorities, as occupying power, are obliged under international law to allow patients needing treatment unavailable in Gaza access to medical care. 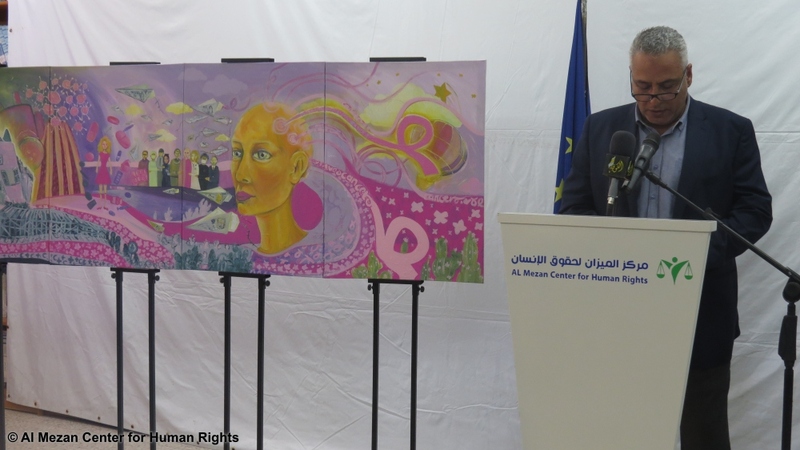 Al Mezan expresses its concern about the critical situation of cancer patients in Gaza and urges multilateral collaboration in the fight against cancer and its causes. Necessary medical treatment and psychological support must be made available. For the humanitarian needs of the population in Gaza to be met per the provisions of international law.